The IMDB description of the classic 80s cartoon says it all: “A bumbling bionic police inspector stumbles about on his cases, while his niece and dog secretly do the real investigative work.” Simple ideas are always the best. 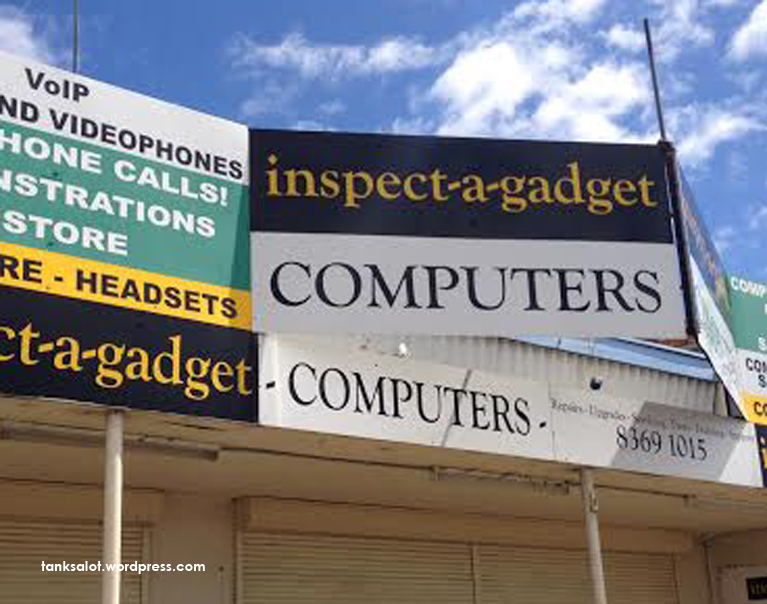 This computer shop was spotted by Janet O’Brien in Hamstead Gardens, South Australia. Love this. 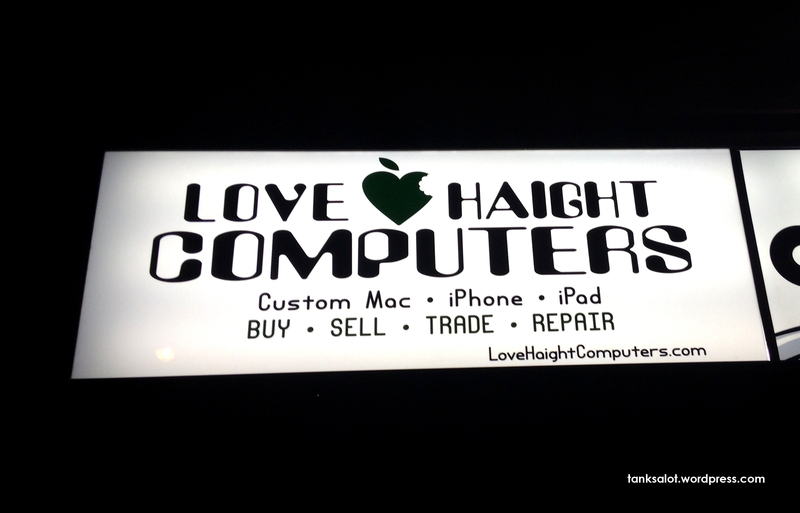 Spotted by Marc Burns on Haight Street, San Francisco, of course. Must be something, ehem, ‘in the water’ around this area, it’s just up the road from this classic Hall of Famer.